There are many ways to be a modern first lady. The photos of First Ladies Hillary Clinton, Laura Bush, and Melania Trump paying respects to Barbara Bush at her funeral remind us that there are many ways to be a modern first lady. Sometimes they perfectly reflect the times we live in; sometimes they are way ahead of their time; and sometimes they lag behind progress women are making in society. In other words, people admire them or revile them. But they are expected to be a presence on the national and international scene no matter the buzz about them. 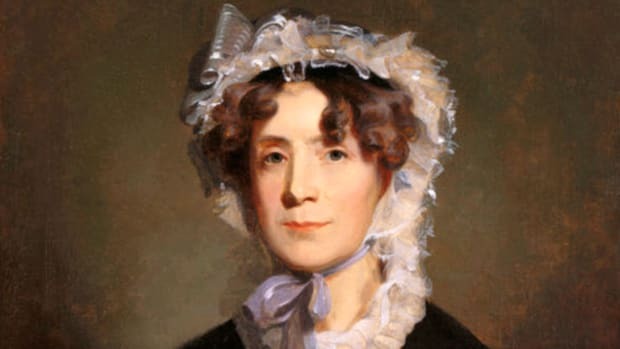 From the very first presidency, Martha Washington revealed that presidential spouses would play some role in the public life of America’s chief executives. 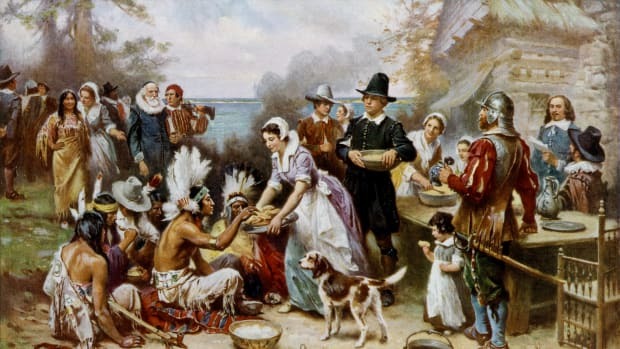 George Washington decided that his wife should preside over a “drawing room” reception each Friday evening at the president’s residence, then located in New York, where she would greet men and women who came to meet her husband. The Washingtons also hosted weekly dinner parties for government officials and foreign dignitaries. VIDEO: Mrs. President: Dolley Madison: From her eye-catching fashion to her penchant for politics, Dolley Madison set the stage for future first ladies. Dolley Madison perfected the art of presidential entertaining in the early 1800s, making the incommodious aspects of the new capital, Washington, D.C., more tolerable and uniting political opponents around convivial soirees over which she presided in fashion-setting dresses and head-pieces that included dramatic feathers. Mary Todd Lincoln’s stylish wardrobe was a source of journalistic gossip, and her extravagant taste in clothes and White House furnishings (particularly in light of national sacrifices during the Civil War) embarrassed her frugal husband. Eleanor Roosevelt attracted opprobrium for her unprecedentedly active political role in FDR’s twelve-year presidency. Given the physical constraints he faced from polio’s aftereffects, she served as his surrogate while traveling the globe, collecting observations that she shared with the president. But Eleanor had her own, often more liberal, social agenda, and, if conservatives hated “that man” (as they called the president), they may have despised the first lady even more. Following Mrs. Roosevelt’s very active and controversial first ladyship, Bess Truman, Mamie Eisenhower, Jackie Kennedy, Lady Bird Johnson and Pat Nixon resorted to a more traditional model of what political scientist Robert Watson labels “supportive spouses/model wives,” a perfect match for post-World War II era domesticity. With the exception of Mrs. Johnson, who extensively campaigned for LBJ and worked on beautifying America as part of her public policy project, these first ladies were content to host social events and stand behind their men. Mrs. Truman disliked Washington and spent considerable time in her hometown of Independence, Missouri, abandoning the president to lead a lonely life in the White House or Blair House, while the Executive Mansion was gutted and restored. 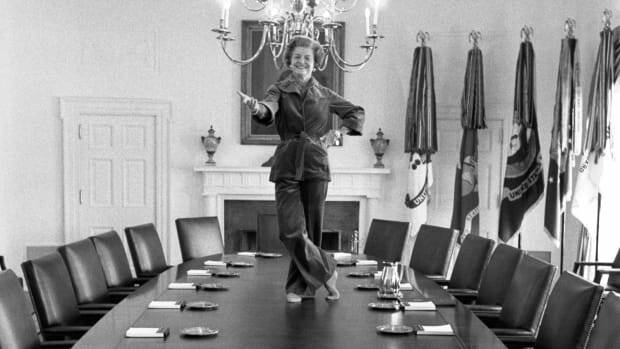 As the modern women’s movement progressed in the 1970s, Betty Ford and Rosalynn Carter began to forge a new template for first ladies as active, political partners. Mrs. Ford made headlines with her outspoken positions in favor of women’s rights and encouraged President Ford to nominate the first female to the U.S. Supreme Court. (He didn’t, appointing John Paul Stevens instead.) Attending Cabinet meetings and testifying before Congress, Mrs. Carter publicly championed the cause of effective treatments for mental illness. Nancy Reagan seemed a contrast to these two liberated first ladies in her more traditional marriage. Known for gazing adoringly at her husband, she only reluctantly embraced an anti-drug policy as an antidote to criticism of her more extravagant Hollywood lifestyle. Following the Carters’ attempts to mitigate the imperial presidency, the Reagans reinstated the more lavish elements of White House entertaining, a politically tone deaf move in the midst of the early 1980s’ recession. Babara Bush managed to hit an almost perfect note for her time. Although both George and Barbara Bush were to-the-manner-born, and summered at the family compound in tony Kennebunkport, Maine, the first lady won over the hearts of average Americans with her authenticity, frankness, grandmotherly persona and embrace of family literacy. The epitome of a World War II generation matron, she had married handsome Navy aviator George H. W. Bush at age 19, never pursued a professional career outside the home, and devotedly kept the home fires burning while her husband climbed the ladders of success in business and politics. She will likely be the last presidential spouse not to have her own professional life before arriving at the White House. 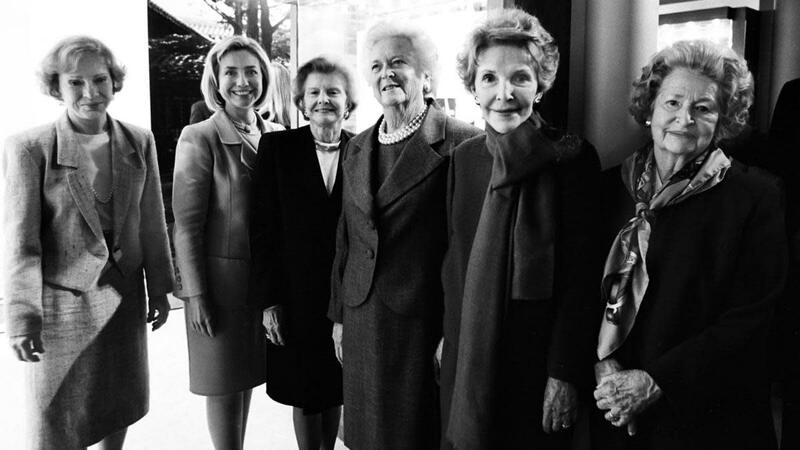 When Barbara Bush died at age ninety-two, Jon Meacham eulogized her as the “last first lady of the Greatest Generation.” Indeed, she represented a bridge from the home-centric lives of women in that cohort to the career-orientated Baby Boomers, like her successor Hillary Clinton. Candidate Bill Clinton famously declared that voters would get “two for the price of one” by electing him, and, in fact, his wife saw herself as a sort of co-president in driving the health care reform policy process. Despite her brilliant defense of it before congressional committees, the bill failed. Negative reaction to her stepping beyond the informal bounds of an unaccountable first lady resulted in Mrs. Clinton’s returning to a more traditional model of promoting women’s and children’s causes. 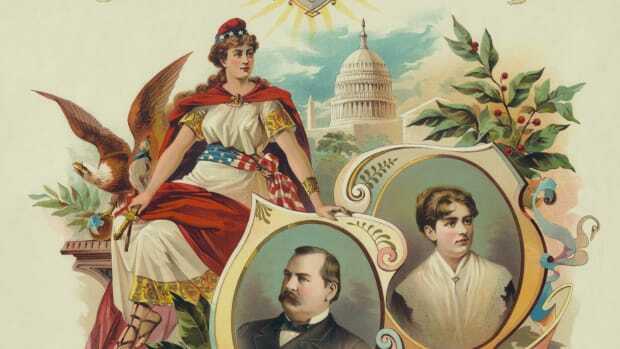 She had to wait until after her husband’s tumultuous second term to become the first former first lady to be elected to the Senate, become Secretary of State, and be the first woman presidential nominee of a major party. 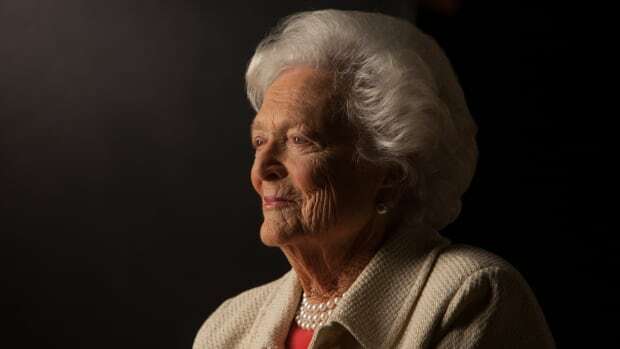 VIDEO: Barbara Bush: In Memoriam (1925-2018) – First Lady and First Mom: HISTORY honors First Lady Barbara Bush, only the second woman in history to have been the wife and mother of a president, who died April 17th, 2018 at the age of 92. 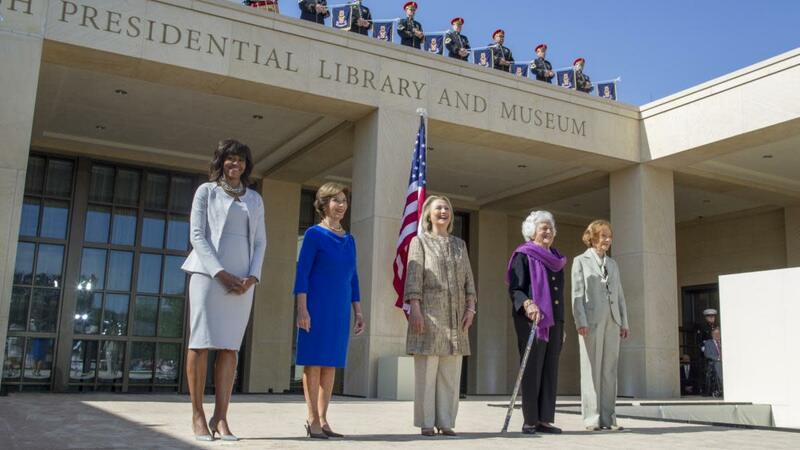 Mrs. Clinton’s missteps required subsequent first ladies Laura Bush and Michelle Obama to embrace the previous traditional role for first ladies in order to comply with the “un-Hillary” model demanded by voters. Laura Bush, a former school librarian, naturally followed her mother-in-law’s precedent and embraced literacy as her pet policy. Despite Mrs. Obama’s impressive career in law and hospital administration, she focused on “soft power” issues of nutrition and children’s health. But her extroverted personality prompted pop-culture appearances with late-night comedian Jimmy Fallon and on the teen sit-com “iCarly” – which, again, seemed in step with the times. Like Jackie Kennedy and Melania Trump, Mrs. Obama performed the unenviable task of raising young children in the White House fishbowl. 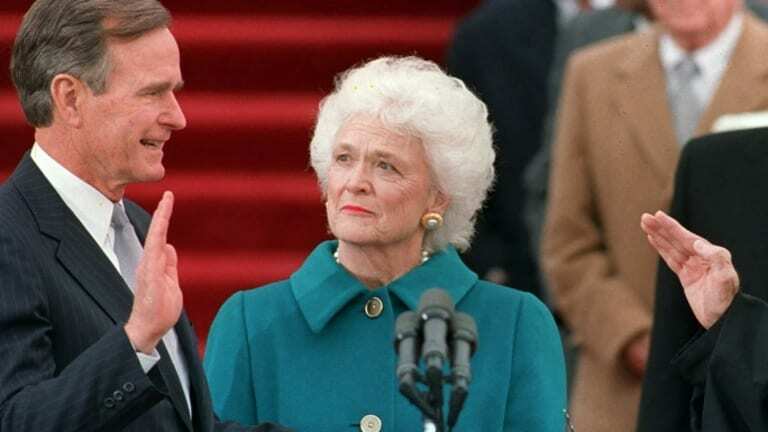 ​At her controversial but ultimately triumphant speech at Wellesley College in 1990, Barbara Bush remarked that one day a member of the audience might walk in her footsteps as the president’s spouse. The punchline, “And I wish him well,” brought down the house. 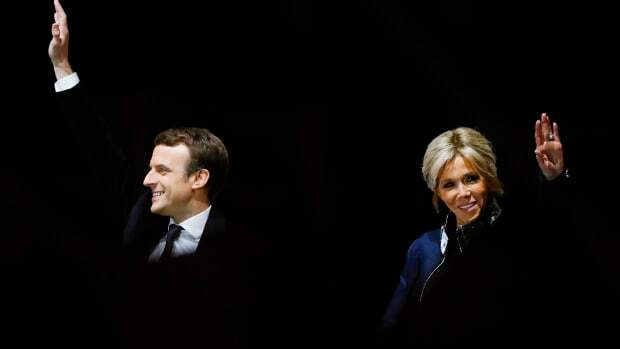 Only when a man assumes the role of first gentleman might the presidential spouse model match the desires and qualifications of the individual in that role, rather than the expectations and demands of the body politic. Barbara A. Perry is Presidential Studies Director at UVA’s Miller Center. Follow her on Twitter @BarbaraPerryUVA.